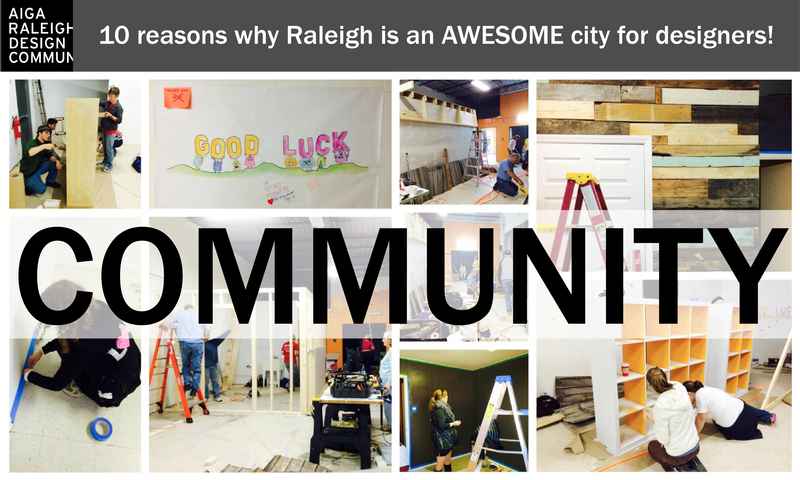 The thing many of us love most about Raleigh is the sense of community. Community is a feeling of fellowship with others, as a result of sharing common attitudes, interests, and goals. Here in Raleigh, we aren’t just designers, we are a design community. 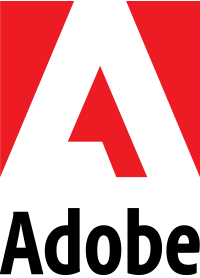 To go beyond that, we don’t consider ourselves just a design community- we’re a creative community. And the best thing is that it’s an open community- our doors are always open. Newcomers are always welcome with enthusiasm and our creative community welcomes everyone who is interested- writers, artists and or those just interested in the creative lifestyle. Our sense of community can be seen at AIGA Community meetings that we hold once a month which are open forum meetings where we get together and learn what is going on in the AIGA design community and beyond. Recently, many of our members banded together to help one of our members upfit his new studio space. Events like this truly portray the sense of community. We support one another. We care about one another. We make each other better designers and better people. We are AIGA and this is our creative community! It’s this true sense of community that makes being a designer in Raleigh such an amazing experience.